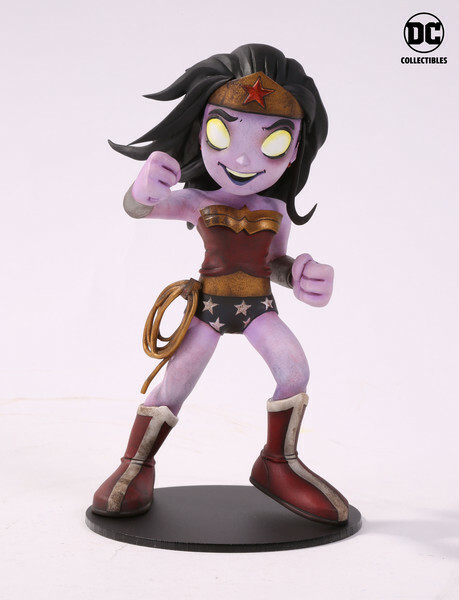 DC Collectibles has teamed up with Hot Topic to release a retailer exclusive colorway of Chris Uminga’s killer DC Comics Artists Alley vinyl figures! Check out these gruesome Zombie variants of Uminga’s Batman, Superman and Wonder Woman vinyl figures. Inspired by the popular comic convention experience, DC Artists Alley is an artist focused, limited edition designer vinyl figure line that merges indie design with the most iconic characters in the DC Universe. 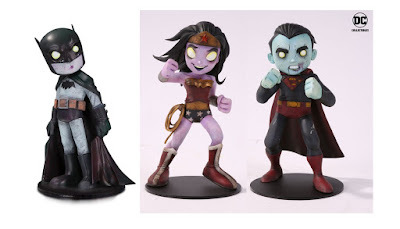 The Hot Topic DC Artists Alley Chris Uminga Zombie Variant Statue Collection includes Batman, Superman and Wonder Woman. 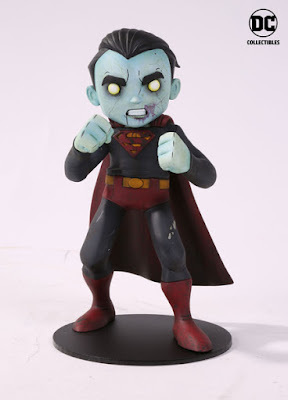 Each limited edition figure measures about 6.75” tall, made of PVC plastic, and comes in a 5th panel box packaging with artwork from Chris Uminga. 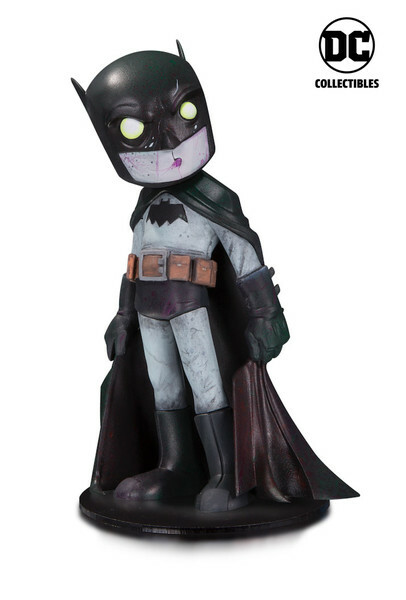 Limited to just 1,000 pieces each, these awesome figures are available now at the Hot Topic online store for $44.90.